What does it mean to do solitary retreat? His Eminence Garchen Rinpoche has said that one of the primary purposes of The Garchen Institute is to serve as a place for practitioners to do retreat. In order for a retreat to bear fruit, Rinpoche has instructed that participants must seclude body, speech, and mind, and the Institute is a most excellent place in which to do this. Rinpoche has also instructed that silence is one of the most important aspects of retreat practice. The practice of silence is based in an orientation of inwardness, of solitude, of letting go of one’s normal need for social acknowledgment and interaction. It is very rare to have an opportunity to do this, and the outcome can be profound. If you are new to solitary retreat, or to Buddhism itself, yet feel a strong aspiration to practice solitary retreat, we are here to support you. We recommend that you first attend one of our group retreat practices or teachings. 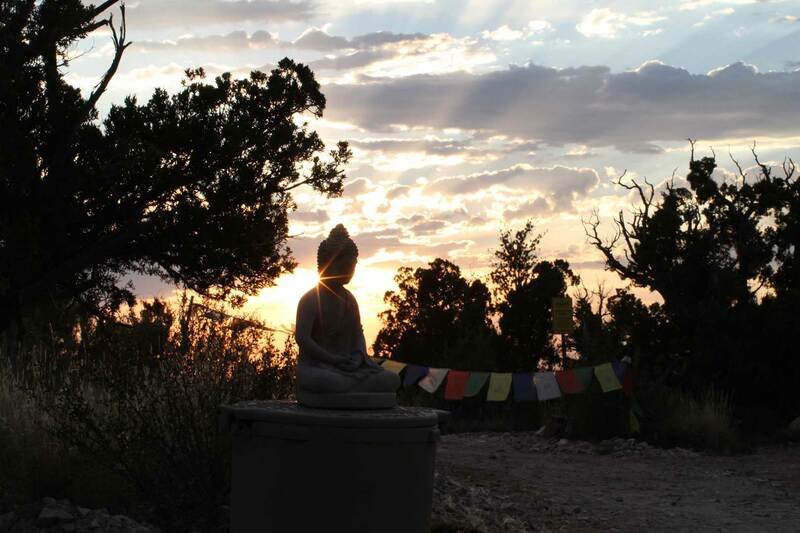 You may also want to stay at the Garchen Institute for a few days to see if solitary retreat is appropriate for you at this stage of your practice (this type of non-retreat, non-event related stay is limited to a maximum of 10 days per calendar year). 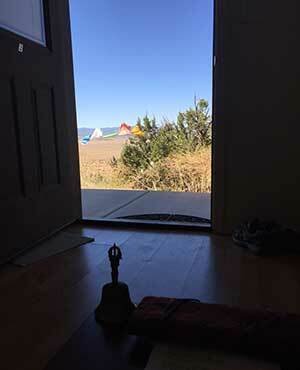 No matter where you are on the path – whether you are learning if solitary retreat is right for you, or if you are ready to take the next step to a short term or long term retreat – it will be our great joy to help you realize your aspirations, for the benefit of all beings. Rinpoche says that retreatants are the very heart of the Institute, and it is the heartfelt desire of both lamas and staff to provide the support you require. For more information, please read our Basic Retreat Guidelines and our Retreat Agreement . For short-term retreats of two-three weeks, retreatants are required to meet with the Short-Term Retreat Master, Khenpo Tenzin, prior to beginning their retreat. Khenpo will discuss your practice, and help you structure your retreat to best support you at your current stage along the path. For retreats shorter than two weeks, retreatants are not required to meet with the Retreat Master, but it is highly recommended. All retreats, regardless of duration, must have structured sessions and be conducted in silence. All of our housing options except indoor/outdoor camping are available to be used for your individual solitary retreat if available. For retreats of one month or longer, retreatants are required to meet with the Short-Term Retreat Master, Khenpo Tenzin, prior to beginning their retreat. Khenpo Tenzin will discuss what you will practice in retreat (one must commit to at least four two-hour sessions of seated meditation/sadhana practice per day), the length of the sessions, the text to practice, etc., or discuss practice instructions brought from other lamas. The facilities of the Institute are available only to persons who are accepted as students participating in a specific event or program relating to Buddhist studies.